What is nuclear radiation, really? Last week, I looked at nuclear weapons. This week, let’s have a closer look at nuclear radiation, the result of nuclear weapons. Like we discussed, nuclear weapons produce an enormous amount of energy when detonated, equivalent to millions to tens of millions of tons of TNT. That energy is released in several forms. The explosion causes heat and pressure waves, but also nuclear radiation. That’s not all, though. A nuclear weapon will also spew radioactive elements into the atmosphere. These elements will produce more nuclear radiation over time. And because nuclear explosions are so powerful, these elements will be jettisoned into the higher atmosphere, where they hang around for a long time and can travel around the world. We call that fallout. Note that nuclear explosions are not the only source of fallout and radiation. The sun and stars are all powerful fusion reactors pumping out radioactive elements and radiation that can sometimes reach the Earth’s surface. Another source is the controlled nuclear explosion: a nuclear power plant. No nuclear fusion plants exists as of yet, but fission reactors abound. If something goes wrong, this also results in radiation and fallout, as Chernobyl and Fukushima have shown. But even without disasters, a fission rector produces radioactive waste – which coincidentally featured on John Oliver’s Last Week Tonight last week. Nuclear radiation falls into four categories: alpha, beta, neutron and gamma. All four are the result of nuclear fission/fusion, but they differ considerably. First, let’s look at alpha, beta, and neutron radiation. I’ll explain why later. When you start messing with the internal structure of atoms, subatomic particles start to appear. When they’re bound together in atoms, there’s not much of a problem. Things start to get risky when the individual particles get loose. Atoms consists of protons, electrons, and neutrons. Protons usually don’t go at it alone. They are mostly released in the form of two protons and two neutrons: alpha radiation. You might remember two protons denotes the element Helium. Alpha radiation is indeed the atomic core of helium, but without the electrons that go with it. It’s a positively charged atomic core, gunning for electrons. Alpha radiation can’t get very far. You can stop it with a piece of paper. However, the fact that it’s positively charged will cause considerable damage. Paper can stop it, but the paper will degrade quickly. The second up is the loose electron. Roaming electrons are not that bad. We use that every day and call it ‘electrical current’. However, a flying electron at high-speed outside of electrical wire is a different beast. We call that beta radiation. Technically it consists of electrons and positrons, but explaining positrons goes beyond this article. Beta particles are smaller than alpha particles (one electron, versus two protons and two neutrons), meaning they can travel through materials slightly further than alpha radiation, but they are also less directly damaging. However, beta particles colliding with something cause harmful gamma radiation as well. More on that later. Finally, there’s the solitary neutron. When shot into the world alone, we call that neutron radiation. Neutrons have no charge, contrary to electrons and protons. This means they can penetrate materials far better, and they degrade it differently. Still, neutrons do cause degradation, and they have the nasty habit of making materials radioactive when they hit atomic cores. So, to summarize, alpha, beta, and neutron radiation are different types of subatomic particles, ranked by increasing penetrative power, and descending direct degradation effect. All three are damaging though. We’ve been discussing nuclear fission and fusion and how much energy that produces. Part of that energy results in kinetic energy that heats up existing particles, or shoots out particles of alpha, beta, and neutron radiation. However, that energy can go another route. Photons are the subatomic particle we haven’t looked at yet (well, okay, I’ve been playing fast and loose with the term subatomic particle, but I’m going to keep quarks out of this discussion). Photons, which we know most commonly as ‘light’ are particles of pure energy that play an important role in fusion and fission. Particles that are fissioned or fused will have lots of excess energy. They dump part of that energy through photons. Photons all have a wavelength in the so-called electromagnetic spectrum. Part of the electromagnetic spectrum is visible light. However, on one side of visible light are infrared and microwaves, and on the other x-rays and gamma rays. Gamma rays are short wavelength electromagnetic waves. On the penetration scale they far outrank the previous three radiation types. Gamma rays are the types of rays you need thick lead plating to protect against. Gamma rays, like x-rays, are bad for human health in large doses. So what do all these radiation types do to human bodies? As stated, alpha radiation has hardly any penetrating effect. It can’t go through human skin and is relatively harmless, unless it comes from a substance inside the body. Alpha radiation was what most likely killed Alexander Litvinenko. Beta radiation is more dangerous, also because it causes ionization and gamma radiation when it hits things. The effects of beta radiation on the human body can take years to manifest. Neutron radiation does even more harm to humans. It’s especially damaging to human soft tissue, such as the eyes. That leaves gamma rays. This is the thing that we hear most about. In comic books gamma rays created the Hulk. In reality, gamma rays mostly cause cancer. Gamma rays are actually less damaging to humans than neutron radiation. However, gamma rays travels much further through matter, which makes them so much more damaging. A nuclear explosion releases a lot of radiation, mostly gamma radiation and neutron radiation. The flash is bright enough that you can see the bones in your hands, and the radiation can melt flesh from bones. But that’s just the initial damage of a nuclear weapon. Years down the line, fallout and the degradation of beta radiation starts kicking in. For reference: the two fission bombs dropped on Hiroshima and Nagasaki in Japan cost an estimated 129,000 lives. Hydrogen bombs are up to thirty times more powerful. The biggest problem with nuclear weapons is that they produce large amounts of radioactive byproducts. The explosion rearranges the subatomic particles inside the atoms, resulting in large amounts of new radioactive elements. These radioactive elements are spread over a wide area, and some are spewed into the higher atmosphere, where they can be distributed around the world. Because of all the nuclear detonations (all but two were tests) of the last seventy years, there are measurable increases in certain radioactive elements everywhere. 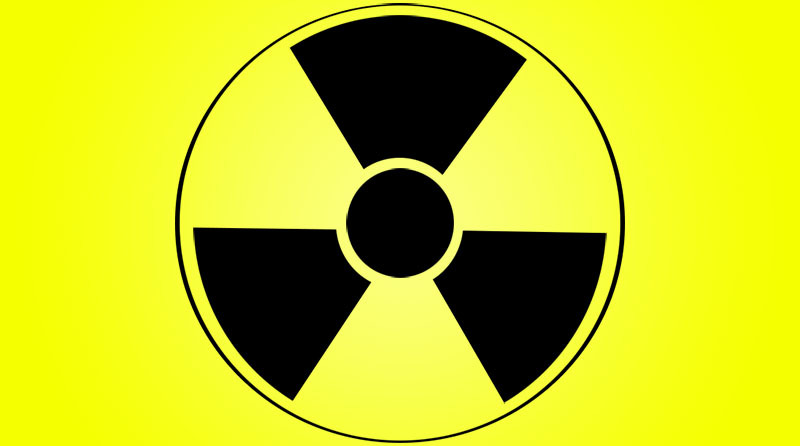 Radioactive material produces more alpha, beta, gamma, and neutron radiation when it decays. This decay can take centuries. This means radioactive radiation remains near the detonation site for a long time. Near the blast site, the effects are worse. Chernobyl is still hazardous thirty years after the meltdown, and you don’t want to be near Fukushima. People exposed at Hiroshima and Nagasaki had increased risks of various diseases for decades. Nobody should want a nuclear war. Not Trump, not Kim Jong Un, not Putin. Hiroshima and Nagasaki should serve as an example of why nuclear bombs are too terrible to use. We have 15,000 of the things world-wide. We should really dismantle them. I hope this has shown you why. Previous Previous post: What is a nuclear weapon, really?